From September 1 to 7, it will be Burger Week at Taverne F. For the occasion, Chef Jean-Paul Aubry has created a decadent burger especially for this event. 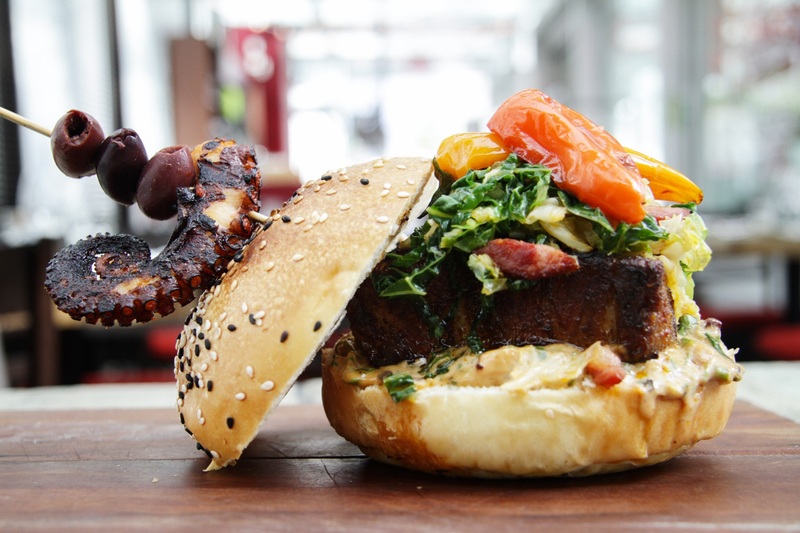 The Porctopus will be made of braised pork, octopus and lobster mayo, and kale and roasted peppers on a brioche bun. Yum! The burger will be available throughout the week in the aim of winning the title of “Best burger in Montréal” in competition with 30 participating restaurants. Come try our delicious burger and vote on the Burger Week site!